Our most recent featured artist is Grant Noren of Westtowa, New York. 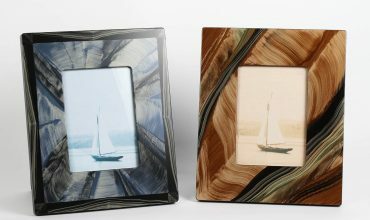 These incredible wooden frames are the result of a truly unique, multi-step finishing process including a range of brushes, combs, fingers and fists, and the result is sheer beauty. Each frame is completely handmade and original, and no two frames will be the same. See our website or stop in to one of our locations today to see for yourself. A perfect addition to any home or office decor. We also deliver to all of Philadelphia and it’s suburbs.